I created this 8 X 8″ canvas with a base of gesso and then added Ranger Distress Inks to give the background a little color. 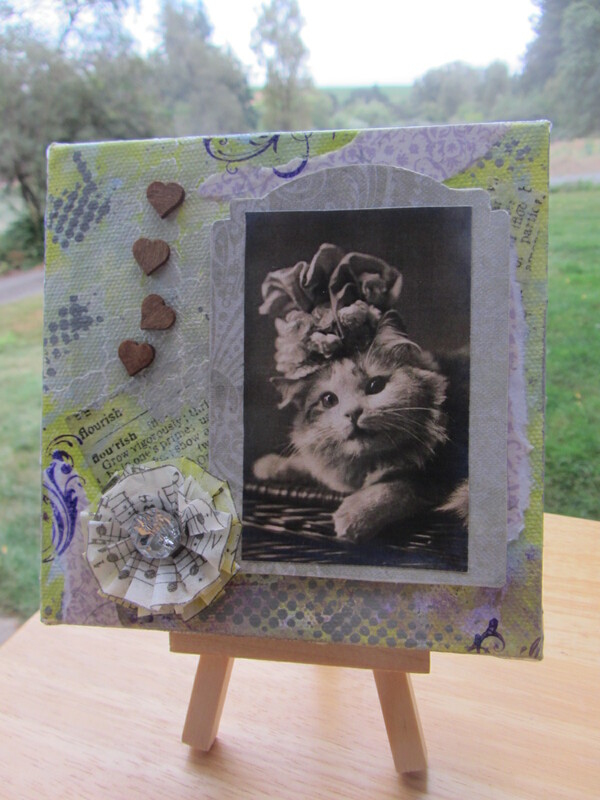 I then stamped the background with a newspaper stamp and applied some tissue wrap with matte gel medium. I added some dimension with modeling paste through stencils and painting a little paste directly onto the canvas. Finally, I attached the polyester leaves that I had in my stash with more gel medium. I drew some lines to accentuate the outline of the leaves with a fine line marker. This canvas has a lot of texture and Autumn color. I created it for the Mixed Media Mojo September Challenge, which is to create a mixed media project with a Fall theme and modeling or embossing paste. Thanks for visiting. I created this mixed media canvas on a whim, the first one I’ve attempted. 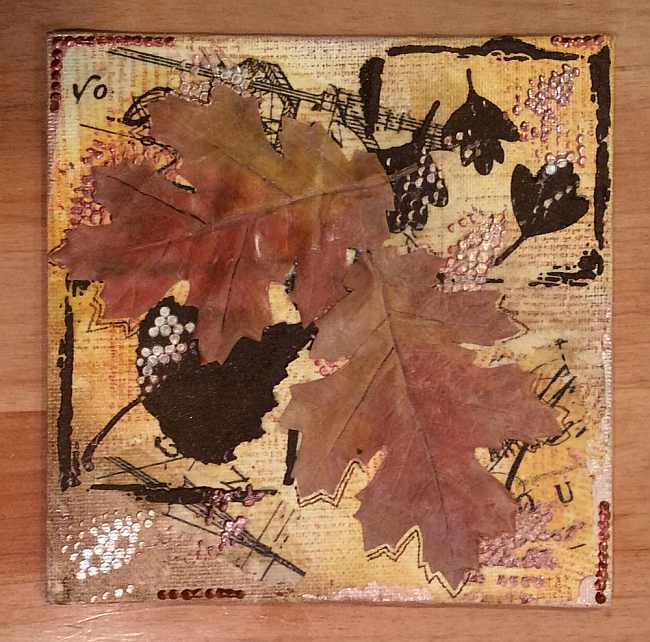 It was fun to start with a canvas and acrylic paint and then to build layers on top using papers, stencils, chipboard, rubber stamps, etc. I made the flower out of tissue tape with a little bling in the center. The image is from a set I purchased from Lisa Vollrath at Ten Two Studios. There’s very little better than dressing up a cat! Have a great day!